What's Included — Fitness Lab Testing. Assessments. Aerobic Capacity test: Your aerobic capacity (VO2max) is measured in milliliters of oxygen per kilogram of your body weight utilized per minute. Decreased cardiovascular ability is associated with an increased risk for chronic illnesses, such as diabetes, hypertension, and cardiovascular health. The lactate profile is the gold standard used by endurance athletes to improve performance. Changes in blood lactate levels indicate transitions in the energy utilized by your body during incremental exercise. Biomarker test: This blood test will establish your body’s baseline values for biomarkers like cholesterol, white blood cells, vitamin D, cortisol, and protein. 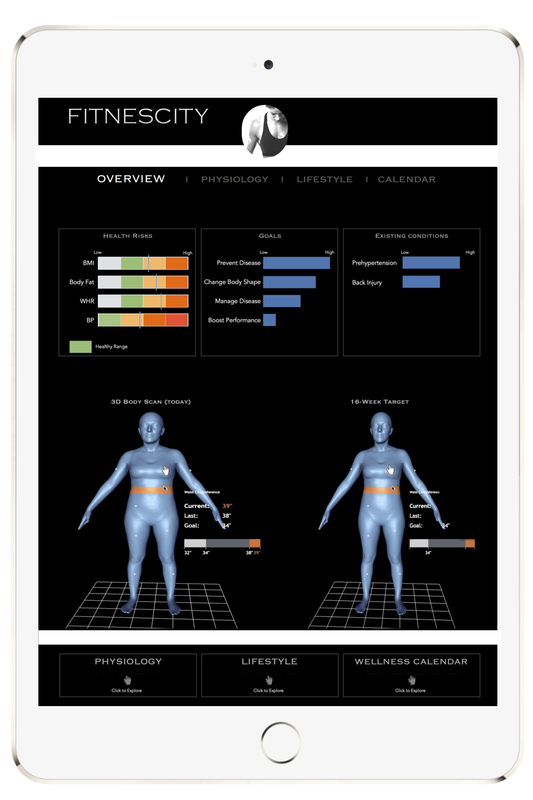 In-depth digital assessment: Nutrition. Fitness, Sleep. Stress. Emotional well-being. Lab tests: DEXA. BOD POD. Metabolic Rate. Aerobic Capacity. Lactate Threshold. Blood Test. Personalized digital program (based on 200+ data points from your results): the program also adapts to your numbers as they change. If you have completed a test before, receive free access to your online profile, state-of-the-art visualizations of your results, along with recommendations and insights on how to use your results.